Offering you rarity and uniqueness, Ceruleite is just the stone for the lovers of earthly fashion. With its quaint and serene blue colour and opaque quality, the stone proves to be a visual treat. However, some people often find themselves confusing the stone with turquoise because of its colour. The fun fact is that it was used as an imitation for turquoise for the longest time in history, before gemologists realised its true worth. Borrowing its name from the Latin word “caeruleus,”Ceruleite means “Sky blue” for the colour that it portrays. It is actually an incredibly rare arsenate mineral and is only sometimes found for for a size to be moulded into jewellery. Mostly, the raw rocks found are enough to extract small cabochons. The limited availability of the stone is exactly what makes it one of the most sought-after gems. Discovered in the period around 1900’s, this stone has garnered a lot of positive attention since then. With its appealing blue colour and only a few sites of mined extraction, it has come to be a prized gemstone. As of now, the biggest source of Ceruleite is in Guanaco district, which is about 100 kilometres east-northeast of Taltal, in Chile. There have been recorded a few other locations of it as well, like Bolivia, England, Franca, Australia, and Namibia. However, the best and the most consistent quality is mined from the Emma Louisa Mine, which is in Chile. With a pale blue colour encompassing the entirety of the stone, connoisseurs of rare gems often find themselves bewitched by the raw beauty of its surface. Collectors love the gem for its flawless visual quality, which promises no visible inclusions or blemishes. Often confused with turquoise, this stone flaunts an appealing shade of blue. However, much to the chagrin of several designers and collectors, only small-sized stones are mined, which can measure up from one to a little more than that inch. Ceruleite is also known to be a relatively soft stone. It ranks only 5 to 6 on the Mohs scale of hardness, which means that it can be easily shattered when it suffers a blunt force trauma. It is also very much prone to scratches and external damage. It is strongly advised that you take special care if you’re wearing a ring studded with the said stone. The healing properties of Ceruleite are as pure and promising as its lustre. It has been considered one of the most revered stones of all times for its purity and promise of class and quality. Not only that, many healers believe that it harvests good fortune and facilitates communication. There have been recorded other benefits as well, like several people stand to believe that it provides considerable relief from throat ailments. The blue colour of the stone is associated with water as well. There are tribes across the world who believe that not only does it contain the force of water, but it also helps dissipate fear of water and drowning. Some people regard it to decrease dehydration as well. Some other benefits of wearing the stone, which healers suggest, are that it provides strength and immunity to the body, it promotes and encourages smooth conversation, stimulates intuition and some latent psychic abilities, and more. 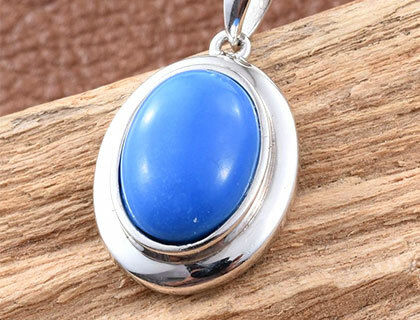 Ceruleite is also considered by astrologers to work for the throat chakra, which means that not only does it keep your throat free of health-related issues, but also gives you the power to voice your opinions in the most rational manner. It is said by the same astrologers that this gemstone encourages and facilitates a proper communication channel. We’ve already established the fact that owing to its low rank on the Mohs scale of hardness (5 to 6,) you need to keep the gemstone carefully and safely. It is one of the softer stones, which means that it can break easily. If you’re wearing a ring with this stone, you should consider removing it before you do something manually strenuous. It is also important to note that you cannot have it cleaned under mechanical systems as they tend to shatter the stone or at least cause some level of damage to it. If you do want to clean the stone, you may use water. Just fill a bowl with warm water and put the stone in it. Wash the grime and dust with soft hands; you may also use a soft-bristled toothbrush if required. Rinse it in a steady stream of cold water and wipe with a soft towel or chamois cloth. With incredibly few locations of extractions, Ceruleite is considered to be a very rare and prized stone. Because of its pastel blue hue, it is often confused with turquoise and was also used as an imitation stone for a while in history. It only ranks 5 to 6 on the Mohs scale of hardness, which makes it a relatively softer stone, meaning that it is prone to being damaged and needs gentle care. It yields several healing properties, claim astrologers and healers across the globe. For instance, many healers say that it directly affects your throat chakra, heals ailments related to throat, and eases the communication channel. It is only found in small sized and due to its soft nature, it cannot be faceted and is found in the shape of beads or cabochons.